On Tuesday, the first tranche of U.S. sanctions against Iran lifted by the 2015 nuclear deal will snap back into place — a result of President Trump's withdrawal from the deal that comes in spite of Iran’s continued compliance. The re-imposed penalties will restrict foreign investment in Iran’s automotive sector and Iran’s purchases of dollars and precious metals. 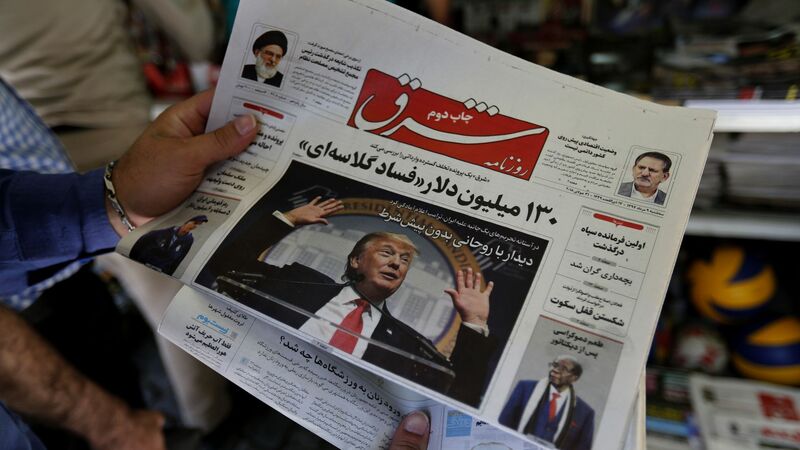 In a background briefing for reporters on Monday, a senior Trump administration official boasted that, because of sanctions, the Iranian currency "is tanking, unemployment in Iran is rising, and there are widespread protests over social issues and labor unrest." At the same time, the administration refused to take responsibility for the humanitarian damage its policies have caused, placing the blame on Iran’s government. Officials also continued to claim that the U.S. is leading a “coalition” against the Islamic Republic, even as European allies were decrying U.S. actions and vowing to maintain the deal despite U.S. sabotage. The main beneficiary of the U.S.' Iran reversal is China, which became Iran's top trading partner more than a decade ago. Beijing has already told the Trump administration that it will not reduce Iranian oil imports after the slated return of oil sanctions on November 4. Turkey, India, Russia and some small and medium-sized European companies have also said they will continue to trade with Iran. The bottom line: President Trump, who has offered to meet with Iran’s leaders, seems to think he can produce a better deal than the one that hundreds of diplomats and scientists from seven countries worked for years to accomplish. But Iran is unlikely to bow to U.S. demands and is not interested in a photo-op summit. Iranians will suffer, but the U.S. is unlikely to benefit.